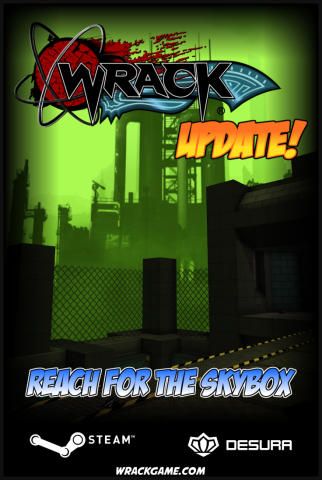 Version “Reach for the Skybox” Released! Completely remade the skyboxes! All of the existing skyboxes have been heavily updated, and E1L6 now has one of its own. Added new specialized kill chain and kill combo graphics! Added a new railgun trail graphic. Added a new model for the box of rocket ammo. Fixed a crash that could occur when exiting the storyboards. Fixed a crash that randomly occurred after exiting the credits sequence. Made a fix to prevent objects from being “double deleted”, which would produce an error. Optimized the calculation of the model outlines, which speeds up loading times. 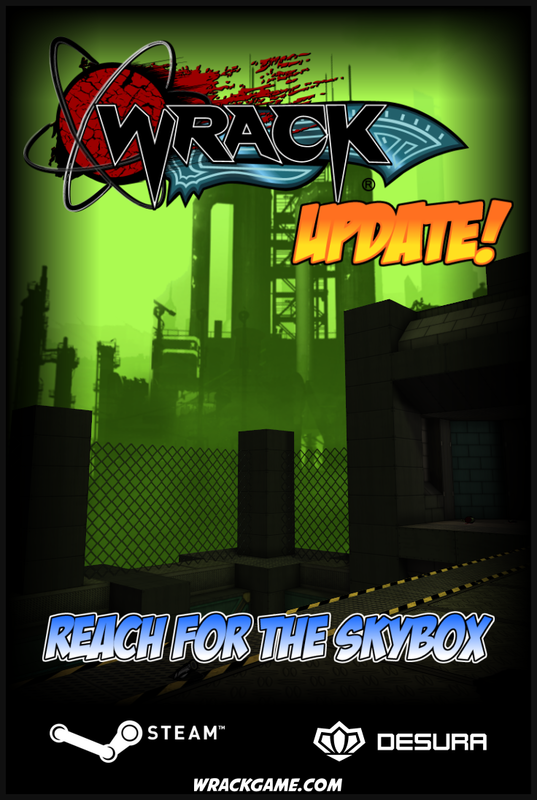 Only replays made with the current release of Wrack can be played off of the leaderboard. Fonts glyphs are now imported on a single texture, rather than individually. Kerning values are generated automatically for fonts! Now, all that’s supplied is a base kerning amount, and the rest is taken care of automatically. You can now specify which font glyphs have kerning applied to them. Sound objects now properly play their sounds after a quicksave is restored. Fix a bug that reset the number of secrets on a map after restarting in Time Attack/Score Attack mode. Protips can now be colorized to highlight certain keywords. Added and tweaked a few protips. Fixed a bug that mistakenly caused players riding moving faces to block their movement. Fixed a bug that allowed bounce collision objects to slide past walls when colliding with corners. Gibs now properly bounce off of sloped floors. Made a couple of fixes so that moving faces (lifts, etc.) end at the proper distance upon reaching their desired distance. Fixed some walls on E1L2 that barrels could travel behind. Kill chains and kill combos can now be defined externally! Their own graphics can now be specified as well. Added a “NARRATOR” speaker title to the narrator’s lines. It’s already out on Steam, and should be up on both the website and Desura shortly.